It was an awesome year! In no particular order, here is one picture from almost every photo shoot I had in 2016. Thank you to my wonderful clients for inviting me into your homes and your lives to capture these unique moments! Happy New Year! 2017 is going to be a good one! 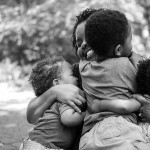 A few years ago I photographed this mom with her her husband and their little twins. Now she has a new baby, and her sister has twins! 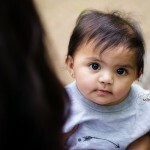 I met them at Van Saun Park recently for Mommy and Me Mini Sessions. How special that these little girls will get to grow up together!